It is a sad but well-known fact that approximately half of marriages end in divorce. Not only is divorce incredibly stressful emotionally and socially, it can put a serious strain on your finances. “The emotional toll notwithstanding, the financial impact of a divorce can be devastating and can take years to recover from,” says Jeff Schwartz, executive director, Consolidated Credit Counseling Services of Canada. Your divorce doesn’t have to be saddled with debt. With planning, perseverance and support, you can stay on top of your divorce and money. Here are some tips. According to the most recent Canadian Lawyer Legal Fees Survey the average legal cost of an uncontested divorce is just under $2,000, compared to an average for a contested divorce of about $13,000. When you consider that is just one of the costs of divorce (don’t forget other variables, like moving, selling your home and maybe new child care/support/spousal support costs), divorce can really blindside your budget. It is very common for one spouse to manage the household finances. If you are the spouse who hasn’t taken an interest in your finances to date, that has to change immediately. The only way that you can make good financial decisions, both during your divorce and through the process of establishing yourself as a singleton financially is to understand the options. Pick a topic a week to start off your financial education journey, you can learn about RRSPs, investments, mortgages and credit cards just to name a few. Make a comprehensive list of everything that you own, separately and jointly. List all of your debts, accounts and financial information (with names of financial institutions account numbers, etc.). As you are going through your divorce, make sure to hang on to pay stubs, tax returns and any other statements that will help you and your spouse determine the division of your property accurately. Almost always, you are responsible jointly for your debts. You should have an eye to your future by making sure that your credit rating stays in good standing by paying your debts on time every month and/or ensuring that your spouse does the same. By the same token, don’t engage in reckless spending in an impulsive moment. You’ll pay for it later- literally. If you are able, close any joint accounts and then re-issue in your name only. If you’ve not had credit in your name only (or if it has been a significant time since you have) embrace establishing good credit as a goal. Secure a credit card to use for purchases in which you pay in full every month. 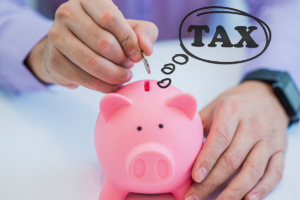 “You may be moving from a double income household to a single income household, but still have significant expenses to manage. Now more than ever, smart budgeting that includes a focus on keeping debt levels low and savings high is essential,” says Schwartz. 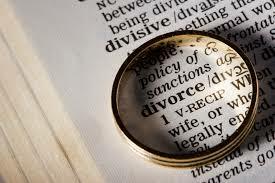 Has a divorce caused you financial hardship? Have your debts climbed as a result? It’s time to turn a new page and get your finances back on track. Call one of our trained credit counsellors at 1-888-294-3130 or check out our free online debt analysis.